Is Their A Best Place To Have A Log Home? 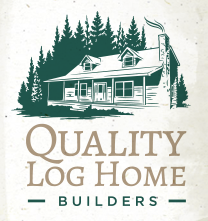 ← What Are The BASIC Steps To Building A Log Home? Living on the mountain comes with a lot of happiness, but also the possibility for a lot of struggles. Most people prefer building a home closer to the city as it renders one the opportunity of the hustle and the bustle of city life with the ability to go home and get away. Staying around the town is enjoyable as there are all kinds of entertainment, stores are generally open whenever you want to pick something, multiple job opportunities to choose from, and thousands of people to meet. Full of fun for most! Contrary to that, some people really don’t like the feel of city life and prefer to distance themselves from it. Though there are so many people you could possible befriend every day, not all of them are particularly friendly, and one should always be on the lookout for crime when near a lot of other people. As much as we hate to say it, no mater where you are you have to keep the possibility of crime in the back of your mind. For individuals who prefer nature and green life, building a log home in the mountains can be perfect for you. In the mountains, it is so peaceful and blissful; everything just goes at a slower place, nobody is rushed or frustrated. On the other hand, living near the city requires a lot of energy, and it can be just be too hectic for some people. Having a log home available to go visit at the top of the mountain can be an amazing way to relieve stress and get away from the same busy boring life you live every day. Just stepping outside and sipping a cup of cappuccino as you admire the city from above can be the ultimate relaxation for you. You can let your kids and pets play around without much worry at all beyond dangerous plants and animals. Besides the benefits that life at the mountains offers, there are some factors you need to consider before building a log home in the hills. It’s a big investment, not something at all to be taken likely. With a log home, you really aren’t at all limited in where you actually live. You can construct it in the dead middle of the woods or at the top of a big mountain. There are many styles of log cabins, with different energy effencies among them but all being quite efficient compared to a normal house. Many log homes that have been around for centuries; cabin homes are constructed to last. Regardless of where you decide to have your log hom built, you’re going to enjoy the money you save the mere fact of what a good long-term investment it is. Before you even think about starting to develop a log home, consider accessibility. If you build in an environment that has a ton of snowfall yearly or is only accessible by a steep driveway, it might be challenging to access during the winter period. This is something you have to plan for, how disappointing would it be to want to go to your log home but you can’t even get close to it because your driveway is a sheet of ice and that’s the only way up. One thing you can do is put in stairs in more trecharous areas so you can have easier access. Consider your health and athleticism, the capability of climbing the stairs, and your age. Remember you will need to do shopping and it can be difficult climbing the stairs carrying your staff. It can also put off visitors if that’s the only way for them to get there. Although the constructor can build a proper drainage system, it is your responsibility to maintain and repair if any issues arrise. Mudslides are more common in the mountain areas, and they can be extremely messy all around. Walk around your compound and inspect the terraces for any erosion. You should always ensure it is clear and no obstructions in the way. Motivate your neighbors to maintain theirs, remember their drainage will most likely cause issues for you too. Natural disasters can occur anywhere and at any time, but before deciding to build a log home on a hillside be sure of the climate. In a place where heavy downfalls are a regular occurance, mudslides can come through in an instant and wipe your home right off of the map if its not built to withstand that. In the mountains, there is a high possibility of catastrophic events like tornadoes. Build a home with all of this in mind. Think of it like putting your beach house on stilts. You don’t ever want to be facing a tornado, but if you are you’d rather be on stilts and in a well build house than a few feet underwater with your flimsy roof gone! Living at the top of the mountain is a way different life than if you’re in the thick of the city. Also, one learns how to grow and preserve food for days when they need it, a great skill to have. Some people believe that living a mile from town in the woods can be stressing because of commotion, but stress is everywhere, it all depends on how you manage. Just do what you prefer, live where you’re most happy! This entry was posted in Log Cabin Homes and tagged city home, log cabin maintenance, log home, Log Home Builders, mountain home, North Carolina log cabins. Bookmark the permalink.